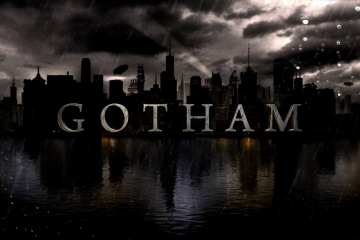 Red Hood is one of the better episodes of the first season of Gotham. This isn’t to say that it isn’t bogged down by the problems that bog down most episodes. There are still to many characters, and to many storylines that don’t need to be here. 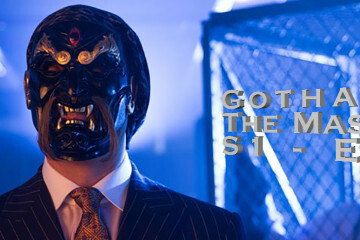 However, this episode gives us what we watch Gotham for: a backstory to a Batman legend. I first got into Batman comics in the mid to late 1980’s. This is a time period when Batman fell into darker territory. We had 1986’s The Dark Knight Returns, 1987’s Son of the Demon, The Cult in 1988, Death in the Family in 1988, and The Killing Joke in 1988. The Killing Joke (which has recently been made into an R rated animated feature) tells the origin story of the Joker. It is supposedly loosely based off of the 1951 story arc The Man Behind The Red Hood”. I never red that one. In The Killing Joke, the man who becomes the Joker is just an average guy that agrees to guide some criminals through the chemical factory he used to work at so that they can rob the playing card company next store. They make him wear the Red Hood and explain that the hood is symbolic, it doesn’t matter who the Red Hood is, as long as there is a Red Hood. A shoot out occurs and the real criminals get killed. While attempting to flee, the poor guy in the Red Hood gets chased by Batman, and falls into a chemical vat. The chemicals transform him into the Joker. 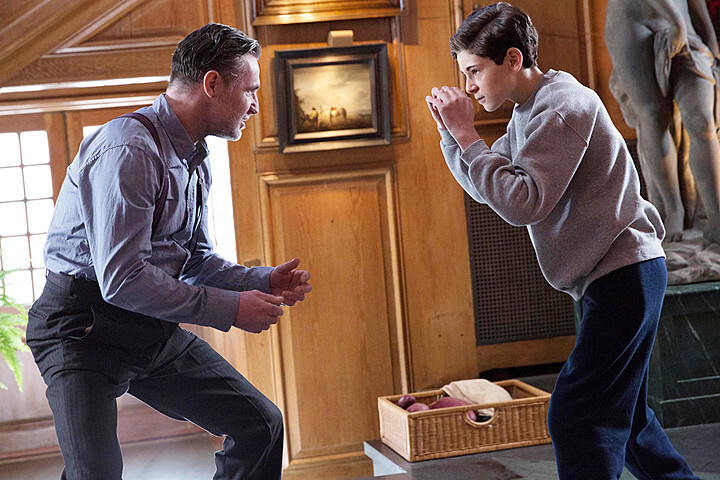 Gotham: Red Hood tells us the story of how the Red Hood started. It was nothing more then a group of bank robbers. One of them decided to make himself a red hood. When he wore it, he felt important. He led the first bank robbery, and when a security guard (who didn’t like to wear his glasses) missed him with 6 shots, the Red Hood felt that the hood made him invulnerable. On the way out, the cops show up, and the Red Hood creates a distraction by throwing money into the street. This gives the (now called) Red Hood Gang a Robin Hood type perception in the street. Unfortunately, a more violent member of the gang kills the first Red Hood, and dons the hood for the next robbery. He is killed by a third member of the gang who wants the hood to impress his girlfriend. Gordon and Bullock kill him (and the remaining members of the gang) before the third robbery. 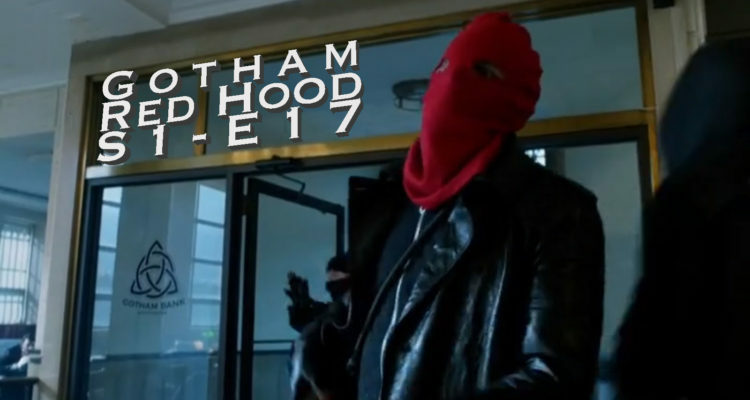 The episode ends with a street kid putting on the Red Hood and pretending to shoot a cop. Thus, the Red Hood is born. An old friend of Alfred’s (Reggie Payne) stops by to visit Wayne manor. Reggie has been down on his luck since his wife passed, and Bruce insists Reggie stay with them for a few days. Reggie brings up some uncomfortable memories from Alfred’s past, and Alfred asks him to leave. Reggie tries to rob the house, and stabs Alfred on his way out. It turns out that Reggie was hired by members of the Wayne Enterprises board to find out what Bruce knows about their shady dealings. The Fish Mooney storyline keeps getting more ridiculous. There is absolutely no reason why these people that have her captive don’t just kill her. I mean, they should do it just out of principle at this point. Just to send a message to the rest of the captives. However, the storyline has brought in Jeffery Combs. 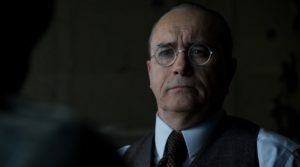 I think Jeffery Combs is one of the most under ratted actors of our time, and I love to see him perform. It will be interesting to see how much of this stupid Fish Mooney storyline I will put up with now that Jeffery Combs is in it to make it watchable. Speaking of unnecessary storylines, Barbara is bonding with little Catwoman. She tells Selina how pretty she is, and that her beauty can be used as a weapon. Selina responds with “A lot of good it’s done you”… Excuse me? Barbra may be a whiney, useless character, but she is rich and lives in a nice penthouse apartment. She is doing far better then street kid Selina. There is also some crap storyline about Butch helping Penguin acquire some booze for his bar (since Maroni won’t sell him any). Overall, these multitude of storylines detract from the series far more then they add to it, but what is good is good enough to make up for the crap. Red Hood is a good Gotham episode that gives insight into some of the origins of the Gotham crime scene, and that was what the show was designed for.